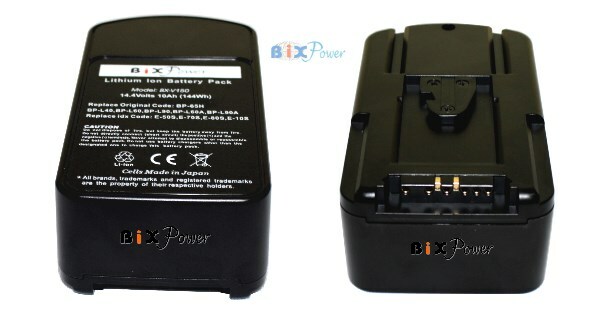 High capacity lightweight V-Mount battery for professional camcorders and other equipments. Made with premium Panasonic lithium ion battery cells. It has a 4-level LED indicator to give the user a view of remaining power before mounting to camera. 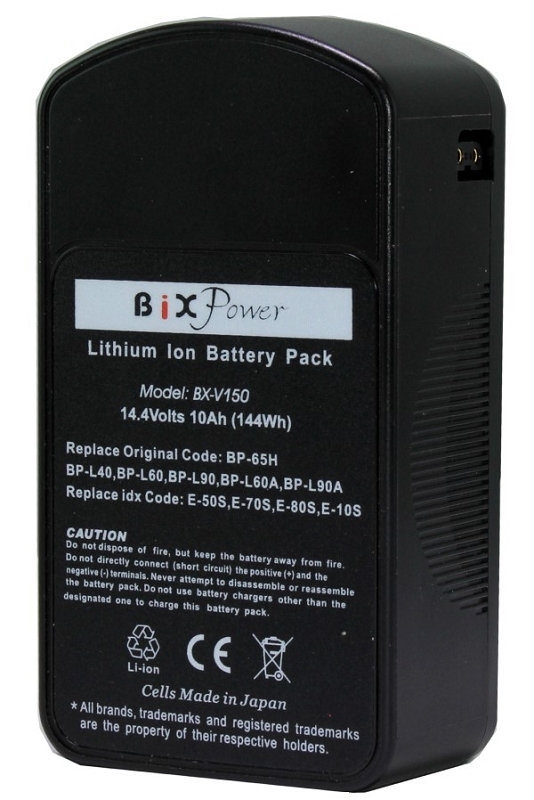 This is a 144 Watt-hour high capacity 14.4V 10Ah lightweight V-Mount battery for professional camcorders and other equipment. Made with premium Panasonic lithium ion battery cells. 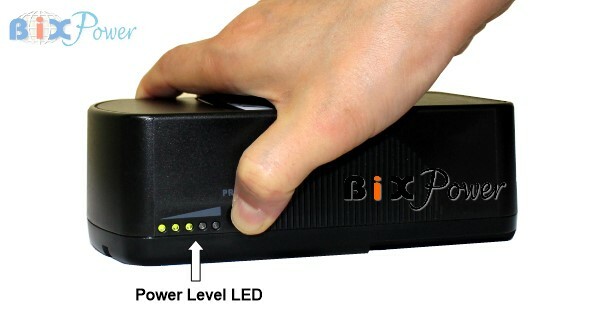 It has a 5-level LED indicator to allow the user to see the remaining power before mounting to camera. 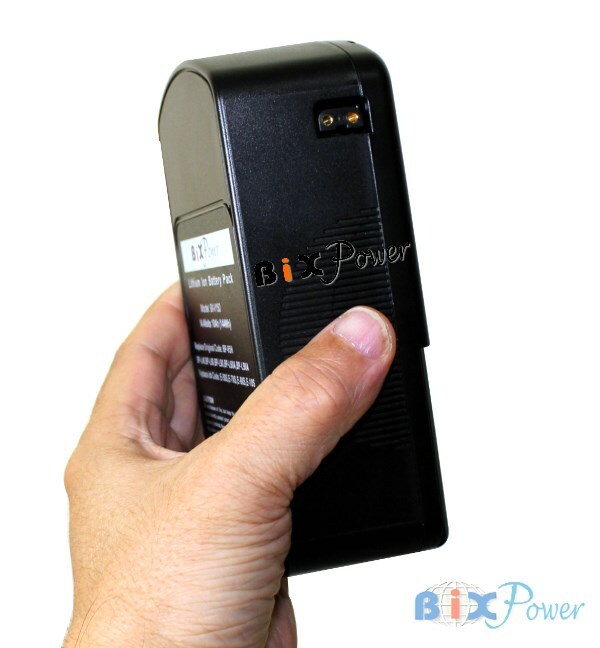 This battery also has a D-Tap DC port for using as alternative charging port or output port. 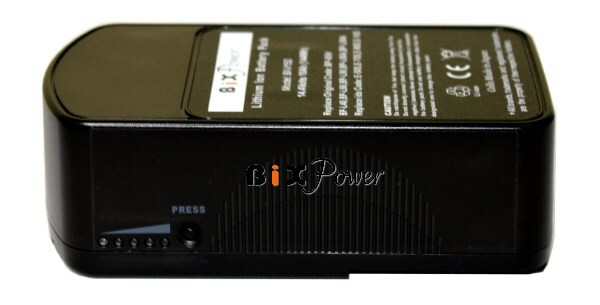 5-level LED indicator to allow the user to check battery remaining power .